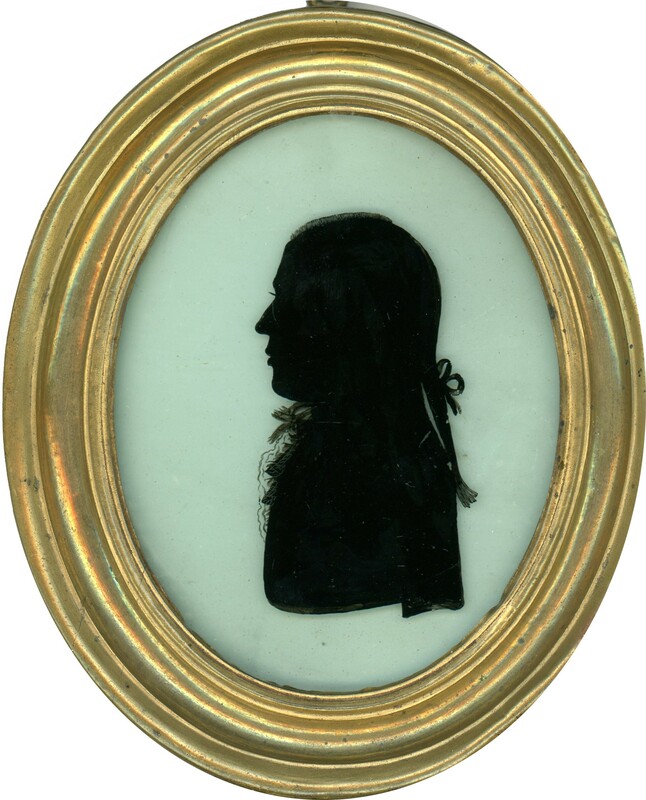 This is a silhouette by a rarely seen artist whose work is known from only a small handful of extant silhouettes. 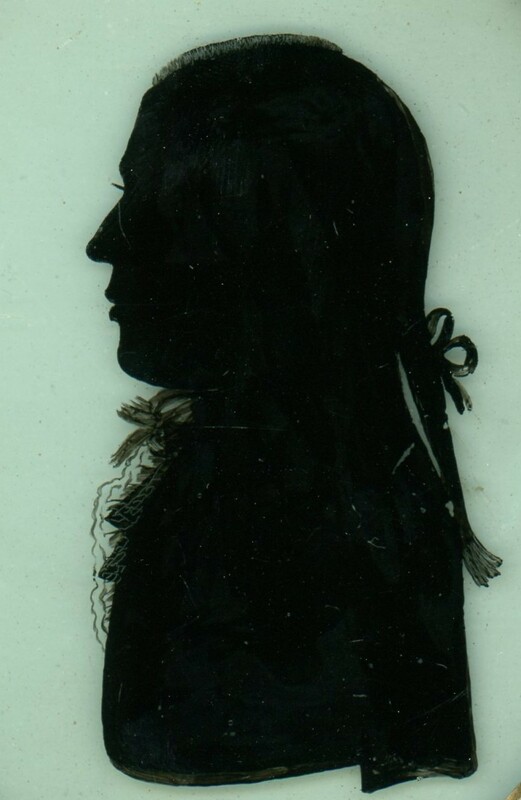 This example depicts a gentleman in a bound pigtail wig wearing a frilled chemise and cravat under his coat. The silhouette is reverse painted on flat glass in solid black with thinned pigment used to create some transparency for the shirt frill. 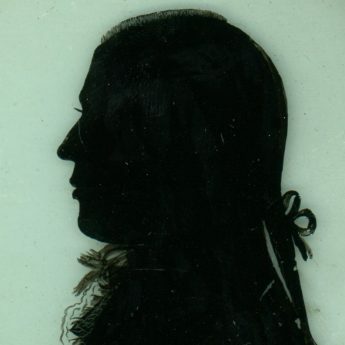 A needle has been used to scratch detail into the tip of the pigtail and the cravat. The profile has then been backed with a second piece of glass coated in gesso giving it a greenish-grey hue. It is housed in the original brass-faced frame. The silhouette lacks the artist’s trade label but the distinctive bust-line with the arm termination is a unique feature of Thomas Johnson’s work. There are small areas of paint loss but these are only visible when viewed using a glass. The frame has old restoration to the reverse side and with some old worm holes but is perfectly stable. Thomas Johnson was working towards the end of the eighteenth century in Harrogate, a popular North Yorkshire spa town where visitors came to take the waters. He would therefore have been guaranteed a fashionable clientèle.